This blog is not going to become a house blog, mainly because it already has enough of a personality disorder. But, we are closing next Friday (barring any natural disasters, like God hating me,) and I am finally, FINALLY starting to get excited about homeownership, because finally I can (our house has been remediated and is cancer-free and living strong, just like Lance.) Although we don’t want to buy a houseful of furniture until we move in and get an idea for paint colors, where the Nutella room will go, which room will be designated for my Veuve Clicquot collection, etc, I’ve been scoping out some small stuff that I can already buy with relatively little risk. Oh, who am I kidding. I’ve been overloading on consumerism on Pinterest for at least two weeks now fondling room arrangements. But I’ve forced myself to stop, until I decided that I could buy one thing that would be relatively low-risk: a doormat. Doorways and thresholds are pretty important in home mythology and if I pick the wrong one, all of our karma is screwed and we might still perish in this house, so no pressure. I want our doormat to be welcoming, but not TOO welcoming ifyouknowhatimean. Can’t have a whoremat. It also has to be modern, cute, and, most importantly, functional. 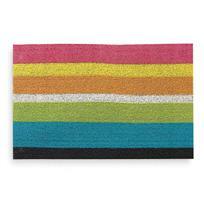 Rainbow mat. Welcoming, friendly, bright, cute, modern. Unfortunately, it’s $45, which is above my cheap threshold. Also, I have some family members and acquaintances that are Vehemently Russian, so this doormat would essentially be giving out the “NEXT YEAR’S PRIDE PARADE HELD HERE. RIGHT HERE.” vibe to them. 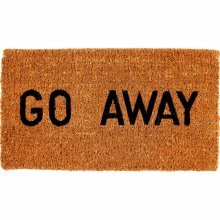 If there’s anything I’ve learned about arguing with people about this topic, it’s not to buy a doormat that brings it up for you every time someone comes in. 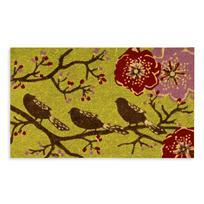 Bird doormat. Very cute, modern, and hip. Unfortunately, also expensive and has the downside of making me feel like I’m living in a commune in 1967. The fact that the flowers are larger than the birds also points to some LSD usage. 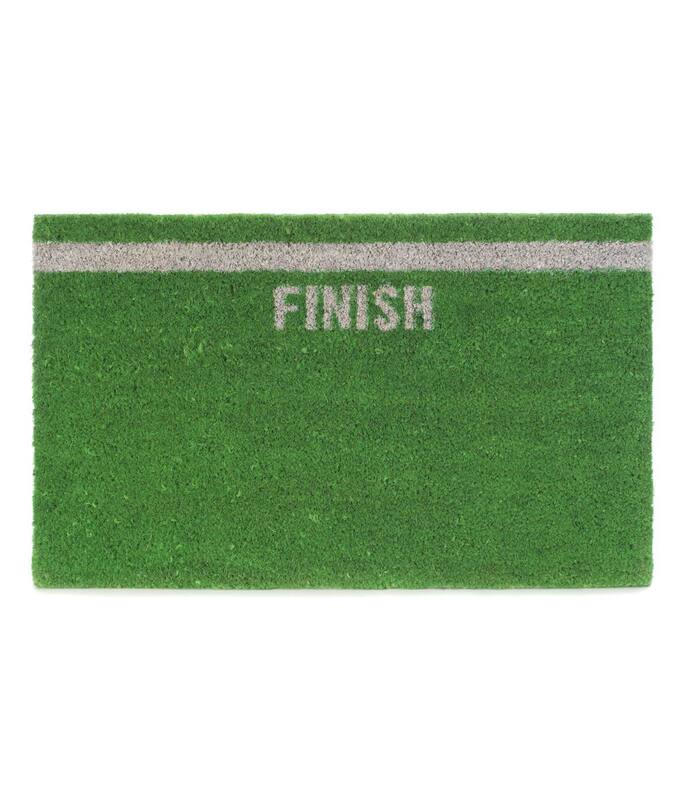 Finish doormat. Perfect since Mr. B and I are runners. Also, cute and green. Not perfect because it reminds me of death. And football. I hate both. 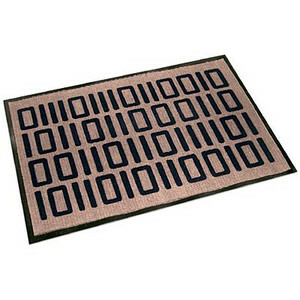 Binary Doormat. Perfect for Mr. B. Not perfect for anyone who doesn’t understand that we are welcoming them with the intertubes. Although, it’s inconspicuous enough that we could probably get away with it. Oh, who am I kidding. I think this doormat is pretty awesome. Now if only it were in neon colors. [This blog is not going to become a house blog, mainly because it already has enough of a personality disorder. ](http://www.amazon.com/William-F-Kempf-Cocomats-Doormat/dp/B000I1UYXO) Is honest. A little too honest. Can’t lay down all our cards at the very beginning. Dream doormat. Remains dream doormat because it costs $116, and mama needs a new bed and kitchen table, so unless I want to sleep (and eat) on the doormat for a couple of weeks, I have to let this one go. 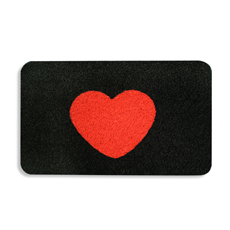 Although, I could probably fit on there…..
Ended up going with doormat: Because it’s cute, not too corny, and perfectly symbolizes what I want this home to be: a place for love. Although, unfortunately, it is anatomically incorrect, and I really want a custom doormat something like this. But, here it is. And it’s the first thing that’s being delivered to our new address.